Unable to pump enough breast milk for her prematurely born baby, the search began for an appropriate formula to feed baby Bella. Finding one that worked, they took their baby home in Alabama. A trip back to Massachusetts, their former resident state, to gather belongings and visit family members resulted in difficulties in finding the same formula they had used in Alabama. They found one that the baby tolerated, but a visit to the local WIC office in Massachusetts put them at odds with a pediatrician who insisted on changing her formula, one that baby Bella did not do well with as her weight allegedly began to decline. The parents decided to go back to Alabama immediately, to be with a pediatrician who was using the right formula. But Massachusetts DCF followed their case to Alabama, contacting Alabama DHR. Alabama DHR investigated the family, and cleared them after seeing how well the baby was doing. But this was not good enough for Massachusetts DCF, which allegedly threatened the family with criminal charges if they did not return to Massachusetts. The frightened family complied, and their baby girl was put into Boston Children's Hospital, where they soon lost custody. Now, Massachusetts DCF is planning to adopt out baby Bella. There is no question that the Mass. DCF persons involved do belong being immediately arrested and JAILED; then tried and punished (long-term IMPRISONED) for acting as "homeland" TERRORISTS as well as CHILD KIDNAPPERS and ABUSERS, etc. These utterly conscienceless and inexcusably evil actions make my blood boil. I'm so glad that Armageddon from God will soon be taking any stubbornly evil persons - working grotesque, heartless, and life-damaging injustices like that - out of existence, permanently. There are a number of similar stories; some judges eventually do the right thing, but usually after the press gets involved. That alone, suggests serious corruption. One young couple was told their baby needed immediate heart surgery. The parents were shocked, and wanted a second opinion before having immediate surgery. The hospital would not cooperate, the parents did the right thing and took their child without hospital release (apparently once you enter a hospital your are basically considered the hospitals property without the freedom to leave until they say so---- when the heck did this happen). (digression: It is unclear why Hospitals are required to report suspicion of abuse, they are a private business, there is really no reason hospitals should have this authority or influence any more so than 7-11, or Taco Bell. They are a business, customers pay them for advice, and decide them selves whether or not to take the advise.) The child went to another hospital for examination, no surgery was needed and the child sent home without issue. While at home, police and DCF stormed onto the property, and put the father on face down on the lawn, the mother saw this from the window and wisely turned on recording baby cams to film what happened when the police and DCF came inside to violently kidnapped their child. The young couple were immigrants from Russia. and the news apparently hit the press there, Putin actually got involved (good publicity for him) shamed the US for treatment of the young Russian immigrants, his influence worked, the child was returned to the parents by court, with no further issue. As a side note, the young couple clearly had a very nice safe well kept home, and like most young parents decked out the baby's room, I mention this only to illustrate that these were obviously loving parents, with not even the appearance of any sort of neglect. The story will show up with google search. The issue is that the courts ruled the child must be returned to the parents, so taking the child was not legal. These abuses will not change without civil and criminal action against the individuals responsible. There is legal precedent allowing individuals to use deadly force against false arrest of themselves or even neighbors. What would happen today if a parent fought back ? I've never dealt with DCF or police, but reading this story after reading about Pelletier, these stories are terrifying. My child is older now, but in today's climate it seems people need impenetrable home security to protect children against abusive law enforcement, and DCF, hold'em off long enough to call a lawyer and the press. This happened to my husband, and I here in kansas with our little girl annabella as well. Dcf took both of our children and then turned around and took our baby we just had as well please if anyone has any legal advice I would greatly appreciate it. My husband and I have jumped through every hoop to get our children back and they still are trying to keep us from them. Please any information. I have a facebook. Please my husband and I want our family back without them we are lost they are our whole world and want nothing more than for them to come home to us. Formula is full of GMO soy and corn (in the form of high fructose corn syrup). It's hardly a surprise babies are having trouble with it. And will likely have long-term health issues. Glyphosate is incredibly toxic and damaging to both our gut biome and our digestive system in general, plus the damage it does once it's passed into our bodies. Your government at work, ensuring that parents NOT bring their children in for medical attention for fear that their children will be taken away, their parental rights be severed, and they will face prosecution -- all because someone else "knows better." Good job, Massachusetts, continue alienating your people, continue violating their rights. You will no doubt be shocked -- shocked and stunned -- when the people you serve revolt. My husband had the same problem with formula. His uncle's also. Thank God CPS didn't get involved then. They all had to be put on whole cow's milk, and one of his uncle's had to actually have milk straight from the cow, unpasteurized, or he would have starved. They didn't have all these different formulas back then. Why did you report your neighbor to DCF? Children taken from their homes are ALWAYS traumatized, and often foster care is just as bad or even worse. Couldn't you and your neighbors try to help this family, instead of calling DCF? And if an adult is assaulting a child, law enforcement is the one who should be called, if the family or neighbors cannot handle the situation. Law enforcement is not the best option either, and should be a last resort, but at least they do not have financial incentives for taking children into custody. They are more likely to follow the law and arrest the offending parent, removing them from the home, rather than traumatizing the alleged victims by removing them. This is so sad. I have a neighbor that's husband beats the kids daily, hits them with bats, and chokes them, they hardly have food most of the time but DCF doesn't do anything about it. I know, cause I have reported it. And yet they torture innocent parents of a newborn preemie? I'm not a Dr. but I have experience with preemies and 90% are slow to gain weight the first 2 months. I hope Bella is returned soon to the loving arms of her parents!! May the Lord bless this family and keep them all together and safe. My son and daughter in law experienced the same treatment with their baby girl in Oregon. Days after receiving her scheduled vaccinations at two months (three shots in her legs), she was still running a fever and crying. When her parents took her to the hospital, the doctors called in CPS because an xray revealed a fractured leg. They were hounded by CPS and the police. A year and a half later, there is still no xray and the case was dropped. We learned the state receives $6000 per year for every child that is put into the "system." Additionally, my daughter in law's 13 year old son was removed from his classroom by 4 adults and questioned for two hours without her knowledge or permission. He was also added to the "system." Another $6000! The case was drug out long enough for there to be two calendar years of money pumped into Oregon's CPS. When I was born in 1960 my mother gave me formula and I got sick. I had constant diarrhea. The doctor changed my formula again and again and nothing helped. I was given antibiotics. At 3 months old I was at my birth weight of under 6 pounds. I was dying. My mother went against all the rules and put me on whole milk! That's right, cow's milk at 3 months old. Within 24 hours I turned around and started getting better and gaining weight. That was almost 55 years ago. Today I would probably have a different name and different parents. I just can't imagine it. This has got to stop! What is wrong with this world??? I used to fight with my own pediatricians about giving my kids iron fortified formula because it gave them colic. It runs in my family. I would lie to them and say I was giving it to them when I wasn't. They didn't need it and it made them sick and cranky. This black and white attitude is out of control. It makes you want to go back to the woods and give birth in your cabin and never leave. Looks like another pretty white baby for the market-no wonder they chased her. IIs there legal help for family? If so where can we go to support them? This is ridiculous, an you kno most of the people that work in those agencies DONT have there own kids to begin with. What gives them the right to say how we raise our children. An it never ceases to amaze me that this world can sit there an make up leis an make everyone else around them believe it. 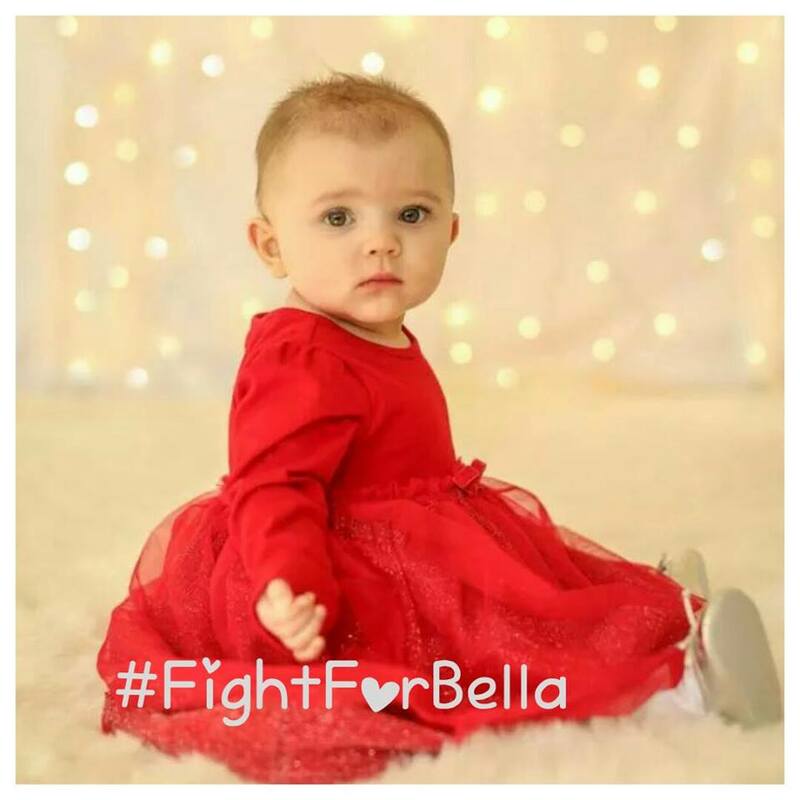 Give bellas mom the opportunity to raise her daughter, the hospital an government didn't do there jobs in finding out what the real problem was. Instead blame the parents, its easier. I feel your pain Christina, my son was taking from me because his father wanted to tell lies. Not to mention his dad only wanted him for the money at the end of the year. It's been seven long years, an at this point I don't even recognize him as mine BC of the person that's been raising him. I've lost so much time with him. I can't stand to see this government destroying families. I have two more yrs to wait for my son to decide whether he wants to live with me, or his dad.